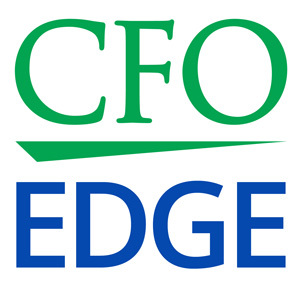 With expertise gained as CFOs on both client and services sides, we bring breadth and depth to understanding your industry challenges. In conversation after conversation, executives express their preference to work with CFO services professionals who have experience resolving their industry challenges. They describe concerns, challenges and goals that are specific to their types of companies, and we look forward to sharing with you examples of the solutions we’ve delivered to companies like yours. Following are industries we serve and examples of their business drivers our CFO services address. Cloud-based apps, innovative payment options and diversification drive performance gains. B2B services companies can reduce labor costs and improve margins with cloud-based apps that link the workforce to clients and its own locations. Accepting purchase cards for receivables and using them with suppliers can streamline A/R and A/P processes. Opportunities for improvement and growth can be found by benchmarking themselves against competitors and diversifying into new service, client and location segments. With rising demand, cost controls and efficiencies are keys to success. Construction companies that have prospered after the recession have done so by mastering areas where we deliver solutions: project-based accounting, productivity enhancements, and succession planning for founders and owners who are retiring and exiting their businesses. We also support merger and acquisition activity that is driving consolidation and the quest for economies of scale. Empowered “there’s an app for that” buyers make technology and big data critical. Millennials, online buying, social media and higher labor costs place premiums on data mining and automation to understand precisely what customers want and how they want to get it. Organizational structures are shifting from departmental silos to cross-functional teams collaborating on creative, outside-the-box solutions. Post-recession underwriting is raising the bar on criteria for fund raising requests. Growth opportunities drive businesses to seek funding via loans or commercial leases. But some requests are made without accurate or thorough financial data. We work with lender clients to provide credible financial statements, forecasts and presentations to support capital requests. We also deliver back-office solutions to streamline processes and reduce costs. Healthcare regulations, costs and complexities are driving mergers and acquisitions. To gain economies of scale and other benefits, healthcare organizations must integrate accounting and clinical care systems, assure data privacy and control costs. We move industry challenges to resolution with GAAP-compliant financial statements, audit preparation, accounting systems integration and more. Review sites are leveling the playing field and increasing competitiveness. Younger, peer-connected and tech-savvy, customers want experiences that are personalized, recommended and easy to book. Controlling labor costs has always been critical. Now leveraging data from many contact points and channels is essential. Correct analysis of this data identifies high-value customer segments, informs marketing strategies and improves profitability. Aligning people, processes and technology drives a competitive edge. Our expertise includes conducting vendor reviews to obtain more favorable pricing, performing buy/lease analyses to determine optimal CAPEX acquisition strategy, implementing project-based costing, and developing procurement card programs to streamline purchasing. Increased efficiencies, reduced costs, improved margins and greater profitability are outcomes. Consumers are rushing to digital experiences, but rising content costs can erode profits. With broadcasting and publishing companies acquiring studios and web content sites, the line that defined media and entertainment is blurring. Desired economies of scale are challenged by the high-stakes demand to produce original content. We provide solutions in areas like centralization, change management, cost/benefit analyses and post-acquisition accounting integration. A nonprofit’s operations are well-served by applying for-profit best practices. As members and board members of Greater Los Angeles nonprofits, we recognize the many areas that must operate effectively for a nonprofit’s mission to succeed. Beneficiaries, services, events, members, patrons, volunteers, staff, fundraising, marketing, governance, tax reporting, accounting, property and systems – aligning the needs of all is the key to successful growth. Client roadblocks and internal challenges move to resolution with on-demand support. Investment bankers, CPAs and attorneys share industry challenges in the ways their own service delivery is hindered by incomplete client financials. This slows motion on initiatives like funding, completing an audit or closing on a merger. We address client challenges to return momentum to pending initiatives. We also help professional services firms improve internal utilization rates and increase time and billing efficiencies. Rising property values bring opportunities for buyers, investors and developers. The stronger economy and fundamentals are increasing commercial and residential property values. Savvy millennials and online buying fuel web-based searches for property and financing. Urban living and convenience bring developments that make home close to work and leisure. We team with real estate firms to address these trends, including integrating back-office systems with web-based apps to support investor and developer purchasing. Omni-channel ordering and delivery are accelerating the pace and squeezing margins. The extraordinary growth of online buying continues to reshape retail as large online and brick-and-mortar firms acquire both online and real-world businesses. Some are applying a verticalization strategy by adding grocery and apparel brands. Supply chain excellence is required when online purchases are shipped for in-store delivery. Financial know-how and cross-function innovation are needed to improve customer experiences, reduce costs and increase margins. Startup, merger and acquisition success requires high-caliber financial expertise. As startups create new markets and large firms leverage their brands and capital to innovate, technology is experiencing a golden age. Yet industry challenges include fierce competition and the risk of customer defection if they do not better understand buyer needs. Collaborative teams are needed to tailor products, services and experiences to preferences. We support growth with buy- and sell-side due diligence, post-acquisition accounting, revenue recognition and financial modeling for fund raising. Intense competition requires clear differentiation and effective cost controls. The rise of dedicated chat/messaging applications and VOIP reduce network traffic and impact revenue. Like media companies expanding into entertainment and entertainment companies expanding into media, telcos in content acquiring modes are challenged to create original content, as well as deliver partner content. Our solutions include cost assessments, “what if?” scenarios for new initiatives, and corporate governance reviews to reduce regulatory risks. Not just for manufacturing, lean principles streamline costs and help meet the need for speed. A key to success is having beneficial and fair contracts with upstream and downstream supply chain partners. Significant cost savings and efficiencies come from applying lean principles to areas like HR, inventory management and AR/AP processing. Expectations for rapid delivery accompany online buying, and efficient resource allocation is critical. We provide solutions in areas like supply chain partner contract negotiation, inventory process optimization and fleet cost savings. Generating high ROI requires a crystal-clear view into portfolio companies. Realizing desired return on investments begins with thorough buy-side due diligence and review of a potential acquisition’s statements and projections. This information enables equity and venture firms to assess reward/risk equations and make informed investment decisions. Our solutions address both pre-acquisition requirements and post-acquisition financial and operational goals. Tight margins call for efficiencies with inventory turns and processing chargebacks. Strong positive cash flow is critical. Industry challenges include bridging the A/R and A/P gap is often done with lines of credit secured with receivables or inventory. Terms may contain loan covenants with set cash positions and cash flow projections. We are experienced in negotiating favorable covenants and setting up management reporting to keep the executive team in control and lenders informed.